We all take pride in who we are and where we come from, not so for everybody, though. As Canadians, we are proud of our rich heritage, wide borders, and breathtaking environment. The story of Winnie-the-Pooh by A.A. Milne that many of us loved in our childhood days was inspired by a Canadian bear cub, Winnipeg. It was transported from Canada to London in the 1900’s. 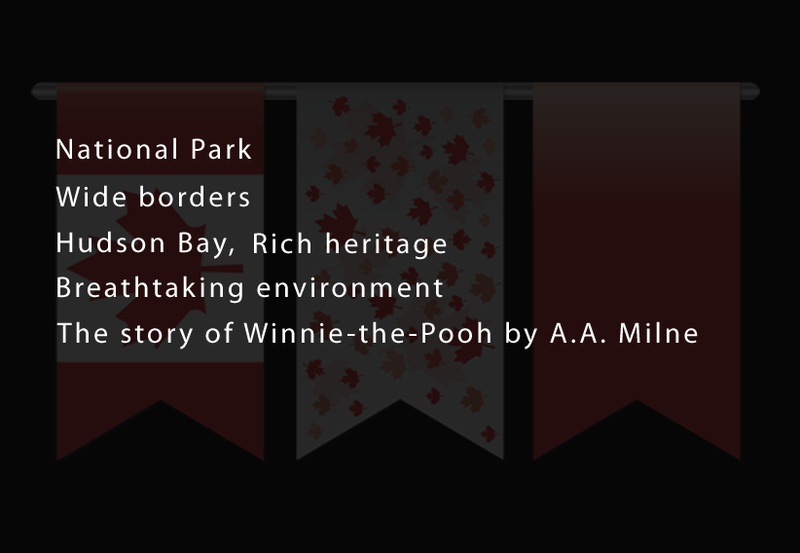 Milne’s son, Christopher Robin, loved to visit the zoo to see “Winnie” and thus was the source of inspiration for his father’s book. There are parts of Canada that have less gravity than everywhere else in the World. When you get to Canada, try and pay a visit to the Hudson Bay. It is where you will experience it. You probably will weigh less too, a relief especially if you’ve wanted to lose weight but to no avail. We have the longest coastline and street in the World. Our coastline is the longest in the world and stretches a total 202,080 km. As for the longest street, the prize goes to Yonge Street in Ontario. It is 2000km long. In 2007, Canada unveiled the world’s only million dollar coin that worth more than a million dollars. Crazy, right? It weighs 100 kilograms. You can’t carry that around with you. We have a National Park that is larger than Switzerland in Alberta. Yes, it is the Wood Buffalo National Park that is at the border of the southern Northwest Territories and Northern Alberta. Canada has so many interesting facts about culture, and even landscape, and we cannot exhaust it all. To be part of the pride, you can apply for immigration and enjoy what Canada has to offer.